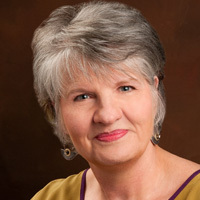 Leslie resides in Atlanta and presents nationally and internationally on issues that impact families conceived through adoption and third party reproduction. She trains therapists, agencies, and universities across the U.S. on the complex issues that accompany adoption and ART. Leslie provides individual, group, couples and family therapy, following a consultation with clients, to determine the mode that will be most effective and expedient for their situation. She also offers telephone and Skype consultations. Drawn to the field by her own experience of placing two sons in closed adoptions, Leslie’s story is included in the book; The Girls Who Went Away and the documentary A Girl Like Her by Ann Fessler. She’s been on Good Morning America w/ Robin Roberts, and on CNN discussing the impact of the internet on adoption. She was most recently featured in Dan Rather’s investigative report; Adoption Or Abduction. Having specialized with adolescents through out her career, in the early 1980s she noticed the high percentage of adopted adolescents receiving services in mental health centers and psychiatric hospitals. Historically, graduate schools have been remiss in preparing their students for this type of work. Since a third of all adolescents receiving mental health services are adopted, there is a great need for therapists trained in adoption issues. Leslie and her husband are the proud parents of IVF twins. Music – especially jazz – and books are her other passions, and she sings in a gospel choir. Leslie was drawn to this field by her own experience of placing her first-born sons in closed adoptions during late adolescence. At mid-life, she and her husband raised twins, conceived through IVF. Leslie describes her psychotherapy work as a calling, and not a job. Her therapy style is to be engaged and active. She sees some clients in traditional therapy and others for periodic consultation. Because guarding her clients’ confidentiality is part of her ethical duty, she does not participate on managed care panels. Many insurance companies do reimburse their clients for “out of network” services. Finding “the right fit” with a therapist is essential. Look for someone who is well trained and experienced with a comfortable style for you. Part of the choice will be based on ‘personal chemistry’ between client and therapist. That is either present or it’s not, so no one therapist is right for everyone. If you decide to set up an initial consultation, take the first session or two to assess the fit.